One of today’s announcements threw up an interesting footnote worthy of further investigation. With its latest products, HP announced that their mainstream desktop platforms would be shipped with up to 32GB of memory, which was further expandable up to 128GB. Intel has confirmed to us, based on new memory entering the market, that there will be an adjustment to the memory support of the latest processors. Normally mainstream processors only support 64GB, by virtue of two memory channels, two DIMMs per memory channel (2DPC), and the maximum size of a standard consumer UDIMM being 16GB of DDR4, meaning 4x16GB = 64GB. However the launch of two different technologies, both double height double capacity 32GB DDR4 modules from Zadak and G.Skill, as well as new 16Gb DDR4 chips coming from Samsung, means that technically in a consumer system with four memory slots, up to 128GB might be possible. The new 9th Gen Intel Core processors memory controller is capable of supporting DDR4 16Gb die density DIMMs which will allow the processors to support a total system memory capacity of up to 128GB when populating both motherboard memory channels with 2 DIMMs per Channel (2DPC) using these DIMMs. As DDR4 16Gb die density DIMMs have only recently become available, we are now validating them, targeting an update in a few months’ time. At present Intel is only talking about the new Core 9th Gen processors that are set to hit the market on October 19th, which are the Core i9-9900K, the Core i7-9700K, and the Core i5-9600K. There has been no statement on previous generations of processors that support DDR4, or if there is any change on the high-end desktop platform for 256GB support. Pricing for the newest 32GB memory modules is not expected to be cheap. 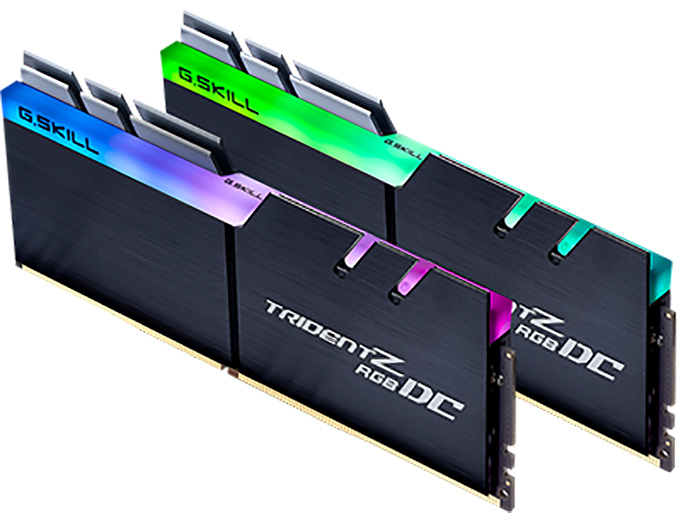 A current 4x16GB kit comes in at around $550 for DDR4-2666, which is a ‘maximum supported’ memory kit, so a 4x32GB kit could easily run double plus a bit extra, perhaps in the $1200-$1600 range. That would put a single memory module at $300-$400, essentially costing more than most DDR4-capable processors. Pricing aside, the main reason for the memory modules is likely not for changing peak memory capacity, but for enabling 2x32GB configurations, for prosumers that need 64GB in a small volume system. This is perhaps why Samsung’s first DDR4 32GB modules were SO-DIMM modules, to enable mobile workstations. We will be monitoring the situation if more processors will be supporting these modules. G.Skill is sending us a sample and Zadak has stated we should be on the list, as ASUS ROG will be the first motherboard vendor to support both. Once we get a motherboard in to test we will see how well they perform. Haven't you heard. It may be possible that dram prices will come down even 15% during the next year (if we are lucky) and that mean that 4x16 would cost only $850... cheap!